Southern Loggin’ Times’ June issue features John and Isaiah Hadley for their multi-faceted business specializing in swamp harvesting. Also discussed is what kids think about logging. The Barretts are spotlighted for becoming loggers after being farmers in Mississippi. Safety measures that need to be followed in the woods are also discussed. In my hometown of Thomasville, Ala., with a population of 5,000, timber is big business. In fact, it's pretty close to the only game in town, as far as an economic base goes. I'd estimate the mjoairty of families here are somehow related to the wood products industry, either working at one of more than a half dozen mills in a 40 mile radius, or harvesting, cruising or managing the area's pine forestlands. 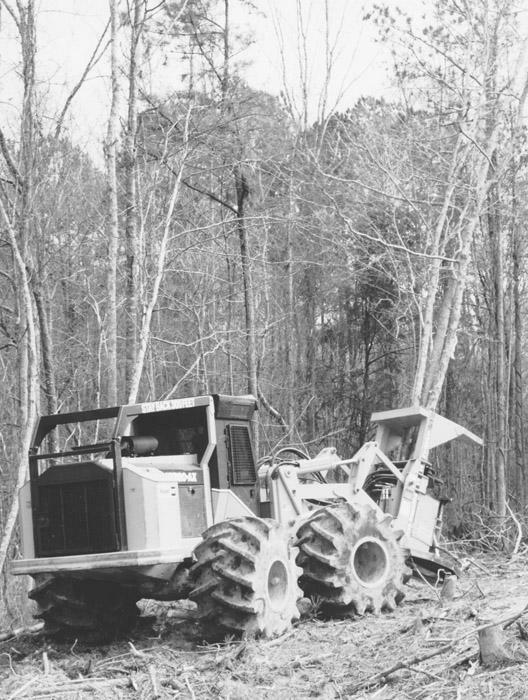 Privately, before serious price negotiations began, veteran south Alabama logger Jimmy Booker told SLT (very much of the record at the time) that he wasn't going to let Bama Logging Equipment take the new Franklin KBL038 knucklebone loader that he was doming off his job. "Don't tell them that," Booker said, gesturing toward Bama Logging sales rep Billy Wilson and Franklin Equipment Co. regional rep Bryan Windley, who, like good equipment salesmen, were hanging out on a shady truck tailgate near the landing. 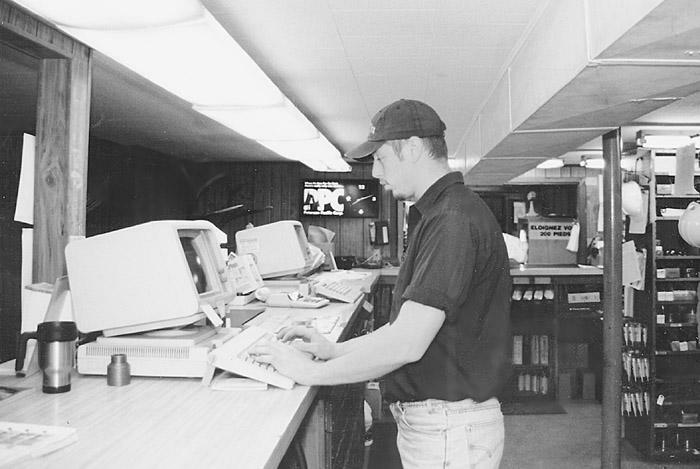 The lobby of Suttle Equipment looks much like a taxiedmist's dream, but scattered around the hunting trophies are plaques from various equipment manufacturers commemorating sales and service achievements. And behind the counter is one of the finest parts inventories in Arkansas. "They call it my graveyard," says President Doug Suttle. Just sticking to it has been a key to the career of logger Bill Harrison, owner of Harrison Logging. 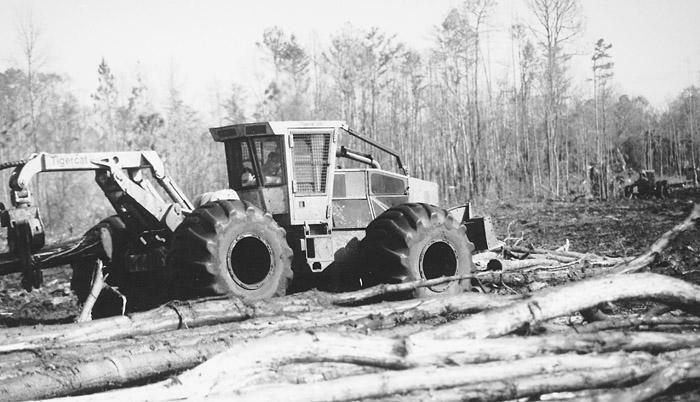 A move years ago to swamp logging has helped insulate the business from the current pulpwood crisis. And last fall, he survived another pulpwood slowdown, this one in the wake of rampant wildfires, by buying a debarked to produce salable pulp. 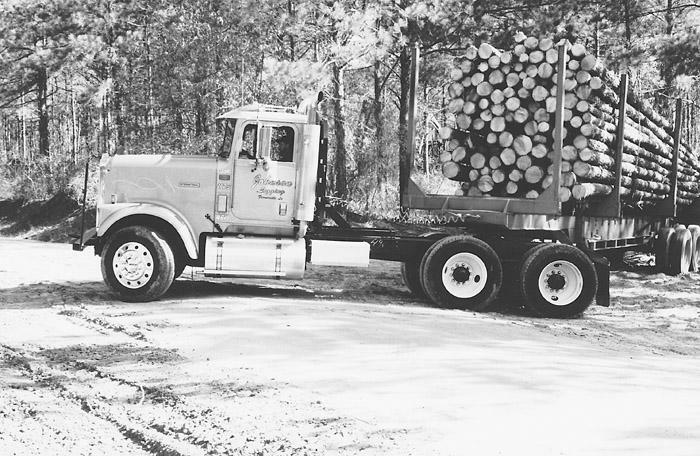 John Ed Johnson, owner of Johnson Logging, based here, has earned his stripes as a veteran of the trade. The son of a logger/sawmiller, Johnson cut his first load of shortwood when he was 12. He and a friend used a chop ax and buck saw to work up sawlog tops. The boys cut three cords and earned $5 each, he recalls. For a while, he helped his dad log and run the groundhog mill. Bobby Barrett has always worked outdoors. Before the 57-year old started full-time logging in 1991, he farmed soybeans and cotton for more than 30 years, following his father and grandfather's farming legacy. When he and his son, Mark, 32, began cutting timber on their own land, the business blossomed. Now the two have earned an excellent local reputation buying timber and cutting primarily for private landowners. 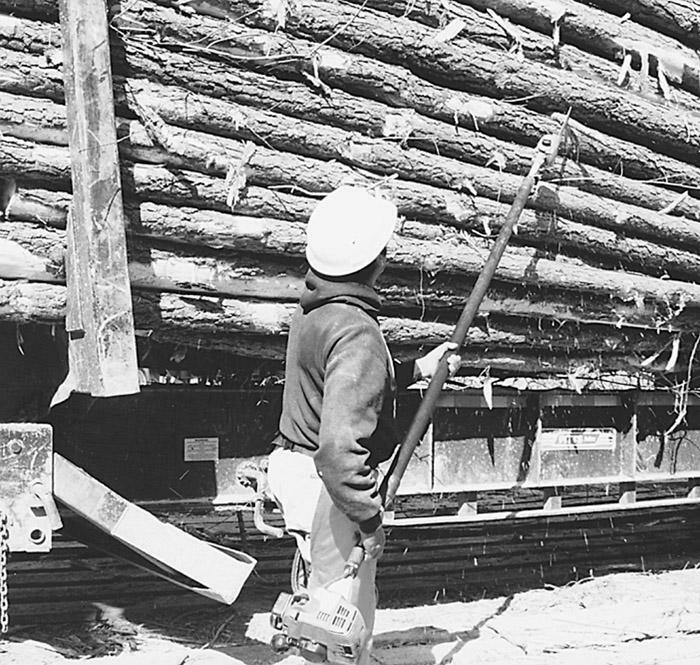 Though logging today is much safer than in past times-due largely to the mechanization of equipment and more aggressive safety programs instated by loggers and insurance companies-loggers continue to stress safety on their jobs. 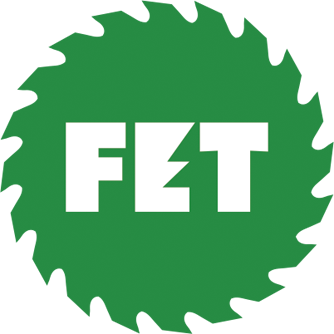 Even employers who conduct regular safety meetings and encourage their workers to wear protective gear could stand to lose a lot in the event of an accident. All available indoor space for this month's Expo '99 has been sold, representing roughly 22,999 net sw. ft., while purchase of nearly 50,000 net sq. 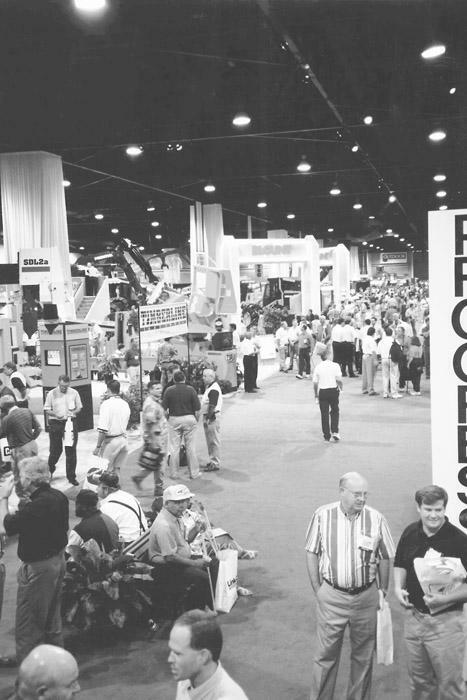 ft. outside the Georgia World Congress Center in Atlanta continues, pushing the expected total of indoor and outdoor space to approximately 270,000 net sq. ft. occupied by nearly 450 exhibitor companies.